A will is essential at every stage of your life, providing you with the opportunity to distribute your property, establish care for your children and otherwise express your wishes for what will happen upon your death. A will is necessary if you intend to leave property to someone who is not your blood relative e.g., a domestic partner, a friend or a charity. 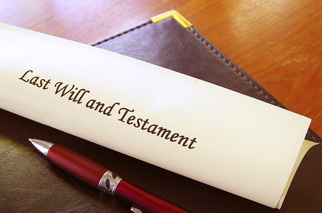 If you die without a will, the State Legislature determines how your property is distributed. Jay E. Reedy at the Law Offices of Jay E. Reedy is a wills and estates attorney with more than 25 years of experience, and can assist by drafting a valid will to ensure that your intentions are honored. Drafting an effective will requires more than filling in a form. If a court determines that your will is invalid, your desires will not be honored upon your death. Jay E. Reedy meticulously drafts your will and considers all aspects of your estate plan. He reviews your family arrangements, financial situation and philosophical goals to guide you in making the best estate planning decisions, and drafts your will accordingly. As your life evolves, so may your estate plan. You may need to update your will throughout your life. Jay E. Reedy drafts valid codicils that address changes in your financial situation, marital status, parenthood status, philanthropic interests and general lifestyle decisions. Your will allows you to make decisions about the future care of your minor children. This is especially crucial if you are a single parent or in the event that both parents die in a common incident. If you have not named a guardian for your children, the court may appoint one who may make parental decisions contrary to what you would have wanted. Jay E. Reedy can also assist families with loved ones who are elderly and need to establish a court appointed guardian of the person or guardian of the estate. Jay E. Reedy also assists executors with managing, valuing, protecting and liquidating the assets of the estate. Jay E. Reedy has extensive experience in probate matters and assists clients with Applications to Probate Wills and for Appointment of Independent Executor; Applications for Determination of Heirship; Applications to Probate Wills as a Muniment of Title; Applications to Probate Will, for Letters of Administration with Will Annexed and for Independent Administration; Small Estate Affidavits; Family Settlement Agreements; and Applications for Letters of Independent Administration and other probate proceedings including will contests. Jay E. Reedy’s professional courtroom presence can calm the emotionally-charged process of probating a challenged will, or disputed executor or judicial decision. When it is in the best interests of the client to preserve cordial familial relationships, Jay E. Reedy is adept at mediating these disputes. When necessary, he assertively defends his client’s beneficiary rights within the Texas probate court. The Law Offices of Jay E. Reedy serves clients in North Richland Hills, Keller, Colleyville, Southlake, Arlington, Hurst, Bedford, Fort Worth and throughout Texas. Call the Law Offices of Jay E. Reedy at 817.918.4860 today to schedule a free initial consultation, or contact the firm online.